Walrus Audio has re-formatted their Monument Harmonic Tap Tremolo into a smaller chassis, but fear not: it retains all the same huge tone as the original. We called up some definitive tremolo tones to demonstrate what the new-and-improved Monument can do. Check out how versatile this pedal can get! 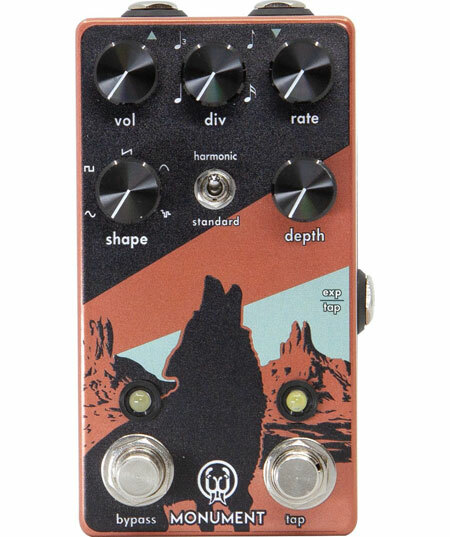 Between standard and harmonic modes, five waveforms, four beat subdivisions, adjustable depth and endless tap tempo possibilities, the Monument V2 is equally comfortable with country, swamp rock, ambient music or anything you can think of. Understanding Speaker SensitivityAre Two Guitar Amps Better Than One?